The "Don't You Dare Bring Us Down" campaign is open to all beyond Greek life - so wearing just white blurs the divide. If you are in Greek life, wear the Panhellenic shirt. 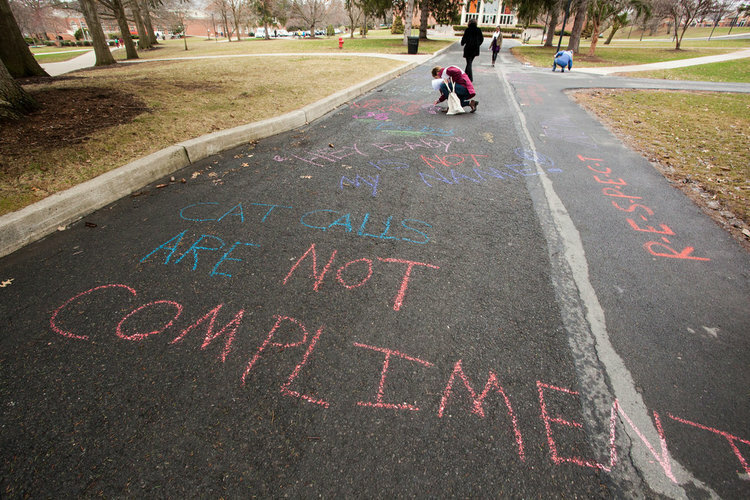 We will be chalking female and empowering quotes in the Seawolf Plaza and have a complement booth where girls write and take an empowering message on paper.